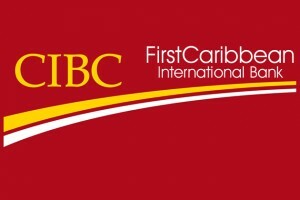 BRIDGETOWN - FirstCaribbean International Bank Limited (“FCIB” or “First Caribbean”) today announced that it has filed a Registration Statement on Form F-1 with the United States Securities and Exchange Commission (“SEC”) relating to the proposed initial public offering in the United States of FCIB’s common shares. All of the shares to be offered in the proposed initial public offering will be offered by a subsidiary of Canadian Imperial Bank of Commerce (“CIBC”). The number of shares to be offered and the price range for the proposed offering have not yet been determined. FCIB intends to apply to list the common shares on the New York Stock Exchange (the “NYSE”) under the ticker symbol “FCI”. FCIB’s common shares are currently listed and currently trade on the Barbados Stock Exchange (“BSE”) under the symbol FCI. FCIB intends to maintain a listing in Barbados on the International Securities Market of the BSE in addition to the proposed NYSE listing. Barclays Capital Inc., UBS Securities LLC and CIBC Capital Markets are acting as joint bookrunners for the offering. The offering will be made only by means of a prospectus. When available, copies of the preliminary prospectus related to the offering may be obtained from: Barclays Capital Inc., Attention: Broadridge Financial Solutions, 1155 Long Island Avenue, Edgewood, NY 11717 or at Barclaysprospectus@broadridge.com; UBS Securities LLC:1285 Avenue of the Americas, New York, NY 10019 and CIBC Capital Markets:useprospectus@cibc.com or at 1-800-282-0822. A registration statement relating to these securities has been publicly filed with the Securities and Exchange Commission but has not yet become effective. This press release is being made pursuant to and in accordance with Rule 134 under the Securities Act of 1933, as amended, and shall not constitute an offer to sell or the solicitation of an offer to buy, nor shall there be any sale of these securities in any state or jurisdiction in which such offer, solicitation or sale would be unlawful prior to registration or qualification under the securities laws of any such state or jurisdiction.